We have made every effort to make it as easy as possible for you to order online. When shopping the site, simply add an item from any product page to your shopping cart by clicking the "Add to Cart" icon. This will take you to a page that shows you what you have in your shopping cart. Additionally, you may always view the items you have added to your cart by clicking the "shopping cart" link on the gray menu bar at the top of any page. You may also checkout by clicking on the "checkout" hyperlink located on the shopping cart page. Once you are viewing the contents of your cart, you may adjust quantities in your cart by changing the number to the right of items, and then by clicking "update quantities" after all quantity adjustments have been made. If you would like to remove items from your cart, click the "remove" link to the right of the item. Once you are ready to checkout with the items in your shopping cart, click on the "checkout" button in your shopping cart and follow the on-screen instructions. Once your order has been successfully submitted, you will receive an order confirmation to the email address provided during checkout. The merchandise sold on our site is intended for personal use only, and not for resale. We reserve the right to cancel orders that appear to be for resale purposes. Do you have questions or corrections to your Web order? If your order was placed today, please contact orders@endoruddle.com. To check the status of an order, give us a call tollfree at (800) 753-3636 or (805) 964-8838. Our office hours are Monday-Thursday, 9:30am-1:00pm Pacific Standard Time. Alternatively, you may email us anytime at orders@endoruddle.com. All credit card transactions are in U.S. dollars ($$). Checks must written in U.S. dollars ($$) only. Our goal is to ship your order within 1-2 business days of receipt (holiday and weekend transactions excluded) pending credit card verification. Our standard delivery destinations include all 50 U.S. States, U.S. Territories, Puerto Rico, APO and FPO boxes and can be expected via Priority Mail through the U.S. Post Office within 4-5 business days. For all other destinations (Canada and International), we use FedEx International Service for tracking and reliability purposes. International orders can usually be expected within 5-10 business days. Note that customs in any given country may delay receipt depending on your country's governing laws. Additionally, duties and taxes are not reflected in our prices. FedEx will charge the package recipient all applicable duties, taxes and/or brokerage fees at the time of delivery. For information about duties, taxes and/or brokerage fees, you may contact your local customs office. Note: Duties and taxes for international orders are not reflected in our prices or the shipping and handling rates listed above. Would you like your order in a hurry? For rush orders, please contact us directly at (800) 753-3636 or (805) 964-8838 for a rate quote for FedEx Overnight or FedEx 2-Day service. Our office hours are Monday-Thursday, 9:30am-1:00pm Pacific Standard Time. Alternatively, you may email us with your instructions for rush service at orders@endoruddle.com. We will make every effort to accommodate your timeline given our office hours and in consideration of weekends and holidays. Currently, it is only possible for us to provide rush service on domestic orders. Customers worldwide should use an insured mail service; we cannot be responsible for items that we do not receive. Shipping fees involved in making a return will not be reimbursed. International customers should contact their local customs office for the possible return of duties and taxes. We advise that you keep your shipping receipt until you have received credit for your return. Once your package has been received at Advanced Endodontics, your refund will be processed in the original form of payment within five business days. Note that shipping and handling charges are non-refundable. You will be mailed notification to the address listed on your account when this transaction has taken place. Please note that your banking institution may require additional days to process and post this transaction to your account once they have received the information from us. If you have any questions or concerns regarding your return, please contact us at (800) 753-3636 or (805) 964-8838. Our office hours are Monday-Thursday, 9:30am-1:00pm Pacific Standard Time. Alternatively, you may email us anytime at orders@endoruddle.com. If you wish to contact Advanced Endodontics with a question or comment regarding this policy, you may send an email to info@endoruddle.com or telephone (800) 753-3636 or (805) 964-8838. In the event that you have a complaint or a dispute with regard to this policy, please contact us by email or phone at the address or numbers provided above. We value you as a customer and respect your privacy. We collect certain information from you that allows us to customize and enhance your shopping experience and to communicate with you about our products, services and promotions. We are committed to managing this information responsibly so that you are in control of your personal information and the communications you receive from us. Please be aware that our website may contain links to other sites hosted by third parties. Advanced Endodontics does not control and is not responsible for the content or privacy practices and policies of such other sites. We encourage you to be aware when you leave our website and to read the privacy statements of each and every website that collects personally identifiable information from you. You can visit our website without telling us who you are or revealing any other personal information about yourself. We may track the Internet domain address from which you visit us and analyze this data for trends and statistics, but individual users will remain anonymous, unless and until you identify yourself to us. Advanced Endodontics collects personally identifiable information from you when you register for services, place an order, participate in a survey, or request other services that require information, registration or subscription. This information may include your name, mailing address, email address, phone/fax number, credit card numbers, occupation or dental specialty, and/or your areas of interest. We may also keep a record of your product purchases. Whether or not you provide any of your personal information is your own choice. If you choose not to provide the information we request, you may be unable to purchase products or access certain services, offers and content on our website. Advanced Endodontics may also share aggregate demographic information (such as your dental specialty and types of products or services purchased) with our business partners and other third parties to customize our online content, services and advertising to enrich your experience at our site. Such information does not identify any individual person. You may, at any time, access, verify, correct, update or remove your information by contacting Advanced Endodontics by email at info@endoruddle.com or by telephone at (800) 753-3636 or (805) 964-8838. In addition, if you prefer not to receive information from us, please let us know by sending us an email or calling us at the above address or number. Please note that it may take up to two weeks for your request to become effective. Thereafter, when you make purchases, we may still send you an email confirmation and may need to contact you by phone, postal mail or email if we have questions regarding your order. Advanced Endodontics reserves the right to change, modify or amend this policy from time to time without prior notice to you. We will post the changes here. Advanced Endodontics encourages you to periodically review this policy to be informed of how we collect, use and protect your information. This Policy is effective as of May 2006. Advanced Endodontics is very concerned about our customers' security. This website secures all sensitive information by using 128-bit SSL (secure socket layers) encryption technology. When you submit sensitive information via our website, such as a credit card number, that information is encrypted and protected. Because sending information by email is insecure, we do not recommend placing orders by email; rather, you should utilize our website. This is the best way to protect your personal information. Since secure transaction processing slows things down a bit, most sites (including ours) do not secure the transaction until you reach the pages where you are entering personal data such as your address and credit card number. So, while you are perusing our site and adding items to the shopping cart, the secure processing is turned off. When you begin the checkout process, you will enter a secure section of our website. You may find yourself going back and forth from the secure area to an unsecured area. Rest assured that all sensitive information remains completely secure. Should you discover an unauthorized use of your credit or debit card, you should immediately notify your card provider in accordance with the terms of your agreement with that company. For more information about security, we suggest you visit the Authorize.net website. Welcome to the Advanced Endodontics Website ("Site"). Please review the following basic terms that govern your use of and purchase of products/services from our Site. Please note that your use of our Site constitutes your agreement to follow and be bound by the terms (the "Agreement"). Advanced Endodontics recommends that children use the Internet under adult supervision. Unless otherwise noted, all materials, including images, illustrations, designs, icons, photographs, video clips, and written and other materials that appear as part of this Site (collectively, the "Contents") are copyrights, trademarks and/or other intellectual property owned, controlled or licensed by Advanced Endodontics, unless otherwise noted. The Site as a whole is protected by copyright. All worldwide rights, title and interests are reserved. The Contents of our site, and the Site as a whole, are intended solely for personal, noncommercial (other than for the purchase of goods from our site) use by the users of our Site. You may download or copy the Contents and other downloadable materials displayed on the Site for your personal use only. No right, title or interest in any downloaded materials or software is transferred to you as a result of any such downloading or copying. You may not reproduce, publish, transmit, distribute, display, modify, create derivative works from, sell or participate in any sale of, or exploit in any way, in whole or in part, any of the Contents, the Site, or any related software without prior express written permission from Advanced Endodontics. We welcome your feedback on the Site. All comments, feedback, postcards, suggestions, ideas, and other submissions disclosed, submitted or offered to Advanced Endodontics on or by this Site or otherwise disclosed, submitted or offered in connection with your use of this Site (collectively, "Comments") shall be and remain Advanced Endodontics® property. Such disclosure, submission or offer of any Comments shall constitute an assignment to Advanced Endodontics of all worldwide rights, title and interests in all copyrights and other intellectual property in the Comments. Advanced Endodontics will own exclusively all such rights, titles, and interests and shall not be limited in any way in its use, commercial or otherwise, of any Comments. Advanced Endodontics is and shall be under no obligation (1) to maintain any Comments in confidence; (2) to pay any compensation for any Comments; or (3) to respond to any user Comments. You represent that no Comments submitted by you to the Site will violate any right of any third party, including copyright, trademark, privacy or other personal or proprietary right(s). You further represent that no Comments submitted by you to the Site will be or contain libelous or otherwise unlawful, abusive or obscene material. You are and shall remain solely responsible for the content of any Comments you make. In some cases, merchandise displayed for sale at the Site may be unavailable, either temporarily due to backorder delays, or permanently given market changes. The prices displayed at the Site are quoted in U.S. Dollars. In the event a product is listed at an incorrect price due to typographical error or error in pricing information received from our suppliers, Advanced Endodontics shall have the right to refuse or cancel any orders placed for product listed at the incorrect price. Advanced Endodontics shall have the right to refuse or cancel any such orders whether or not the order has been confirmed and your credit card charged. If your credit card has already been charged for the purchase and your order is canceled, Advanced Endodontics shall immediately issue a credit to your credit card account in the amount of the incorrect price. We do not authorize the purchase of our goods for resale purposes. To enforce this policy, we reserve the right to limit purchases to five (5) items per product, per customer and/or address, regardless of size of the product. We also reserve the right to cancel multiple orders of merchandise purchased in violation of this policy. We may modify this policy at any time for any reason and we may make exceptions to this policy, as we deem appropriate. This Limits on Purchases Policy applies to purchases made at Advanced Endodontics and on www.endoruddle.com. To the extent that this Site contains links to outside services and resources, the availability and content of which Advanced Endodontics does not control, any concerns regarding any such service or resource, or any link thereto, should be directed to the particular outside service or resource. Advanced Endodontics makes no representation or warranty that any web site links contain suitable, appropriate materials. THIS SITE AND ALL CONTENTS OF THE SITE ARE PROVIDED ON AN "AS IS" BASIS WITHOUT WARRANTIES OF ANY KIND, EITHER EXPRESS OR IMPLIED, INCLUDING WITHOUT LIMITATION WARRANTIES OF TITLE OR IMPLIED WARRANTIES OF MERCHANTABILITY OR FITNESS FOR A PARTICULAR PURPOSE. YOU ACKNOWLEDGE BY YOUR USE OF THE SITE THAT YOUR USE OF THE SITE IS AT YOUR SOLE RISK, THAT YOU ASSUME FULL RESPONSIBILITY FOR ALL COSTS ASSOCIATED WITH ALL NECESSARY SERVICING OR REPAIRS OF ANY EQUIPMENT YOU USE IN CONNECTION WITH YOUR USE OF OUR SITE, AND THAT ADVANCED ENDODONTICS SHALL NOT BE LIABLE FOR ANY DAMAGES OF ANY KIND RELATED TO YOUR USE OF THIS SITE. You agree to defend, indemnify and hold Advanced Endodontics harmless from and against any and all claims, damages, costs and expenses, including attorneys' fees, arising from or related to your use of the Site or any claim by a third party that your Comments infringe the third party's rights. Unless otherwise specified and except to the extent Advanced Endodontics products are offered for sale in the United States through this Site, this Site and the Contents thereof are displayed solely for the purpose of promoting Advanced Endodontics' products and services available in the United States and select foreign markets. This Site is controlled and operated by Advanced Endodontics from its offices in Santa Barbara, California. This Agreement shall be construed in accordance with the laws of the State of California, without regard to any conflict of law provisions. Any dispute arising under this Agreement shall be resolved exclusively by the state and federal courts of the State of California, County of Barbara. Advanced Endodontics may terminate this Agreement at any time and may do so immediately without notice, and accordingly deny you access to the Site, if in Advanced Endodontics' sole discretion you fail to comply with any term or provision of this Agreement. 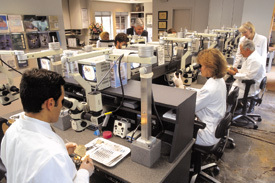 Our promise of 100% satisfaction has not changed since we began Advanced Endodontics in 1989. If for any reason, at any time, you are not completely happy with any purchase, let us know. We'll make it right or refund the full purchase price of the product. For products in which there exists "Directions for Use", we require you to comply with these directions in order to receive a full refund. Please contact us with any questions or concerns.